What I love most about being an Organic family is trying healthier option foods. 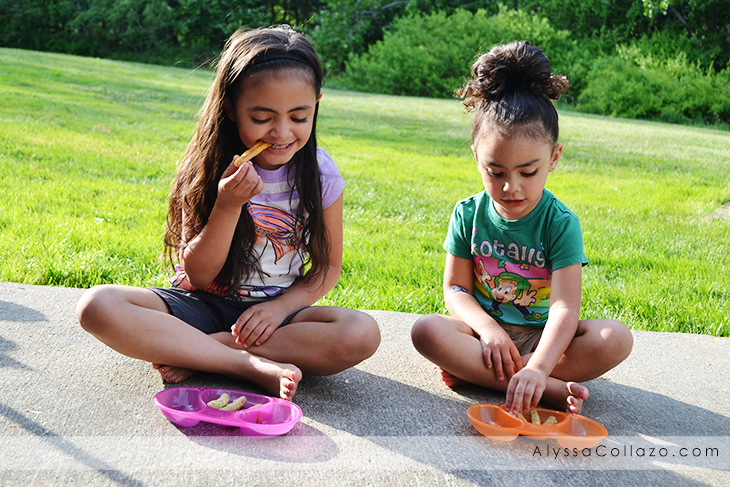 Even though my daughters can get picky, when it comes to Vegetables they are open to trying new things. 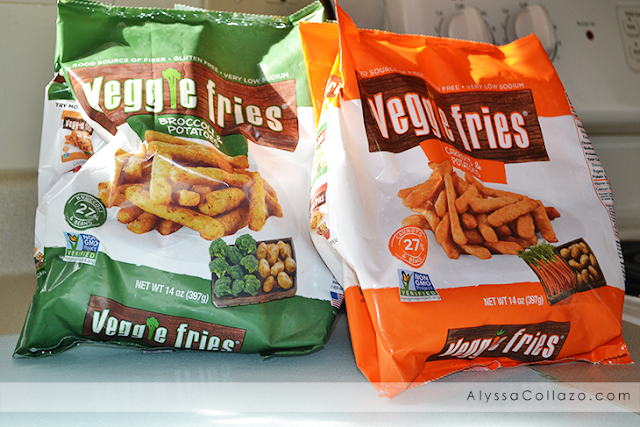 With that being said I have to tell you about this NEW amazing product, Veggie Fries. Veggie Fries are available in four varieties: Broccoli, Carrot, Chickpea & Red Pepper and Tuscan Bean & Herb. Out of the four varieties, I went with Broccoli and Carrot. I picked them up and my local Stop and Shop in the Freezer Section, which just launched this April! My favorite thing about Veggie Fries aside from the fact that per serving you get two servings of vegetables is that they are made with all natural, non-GMO ingredients and are also gluten-free. Let's not forget they are Vegan and free of soy, dairy, tree nuts, peanuts and eggs. Some other facts about Veggie Fries is they have good source of fiber, low in sodium & provides 3+ grams of protein per serving. And I’m all about getting protein in my daughters any way I can. I also love that I can pair Veggie Fries with just about anything. So on my busy nights when I'm running errands or am at dance class and I'm to exhausted to "cook" I have my fiance throw some turkey burgers on the grill and I toss Veggie Fries in the oven, I actually feel good about dinner. Veggie Fries are the perfect mix of Potatoes and Vegetables, they are honestly a match made in heaven. Right away you could smell the blend of spices, veggies and potatoes.. And can I just say that doesn't happen often with Frozen foods. My family loved both flavors, my girls ate them with a little ketchup and even asked for SECONDS! Now it's your turn to try Veggie Fries and from May 15th through June 11th Stop & Shop shoppers will receive $0.50 off their Veggie Fries purchases. Pretty cool huh? I know I will be picking up a few more bags! Which flavors do you plan on trying? Broccoli, Carrot, Chickpea & Red Pepper and Tuscan Bean & Herb or all of the above? 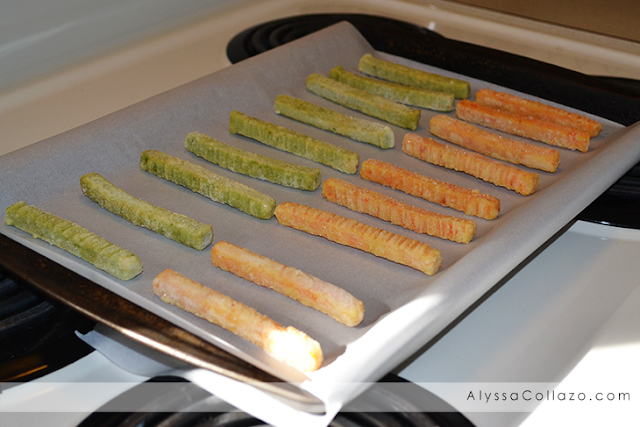 Also, be sure to follow Veggie Fries on Facebook, Twitter and Pinterest. These fries sound good and it is a healthier option for families. I started to eat sweet potato fries a few months ago. OH yum. My kids would love these. The sweet potato ones look yummy. I dont thing my boys will eat the green ones. What an awesome idea! I think the Red pepper ones sound really yummy, I'm going to have to try them! So yum! My daughter would love these! I am obsessed with veggie fries. Love them with a delicious lamb or turkey burger.